Global Review: After pulling out of the Iran deal, Trump stated his hope for a new agreement with Tehran that prohibits its acquiring nuclear arms, ends its missile development, and stops its aggression in the Middle East. Will the Iranian regime accept these conditions? Is a compromise possible? Daniel Pipes: Iranian leaders will not accept these terms and no compromise is possible. But Tehran may maintain the terms of the Joint Comprehensive Plan of Action to keep the Europeans happy and to continue with trade. Global Review: What about regime change in Iran? Daniel Pipes: It is inevitable, I just do not know when. As in Tunisia, a single spark – perhaps a petty government aggression or a bakery without bread – could set it off. For this counter-revolution to succeed, however, a leadership with ideas must emerge. Global Review: Does Tehran want to rule Iraq and are political forces there strong enough to prevent this? Daniel Pipes: Yes and no. Stealing Iraq from American control has high priority for Tehran because this has economic and military importance, as well as great symbolism. Iraqi institutions are too weak to hold off this predation. 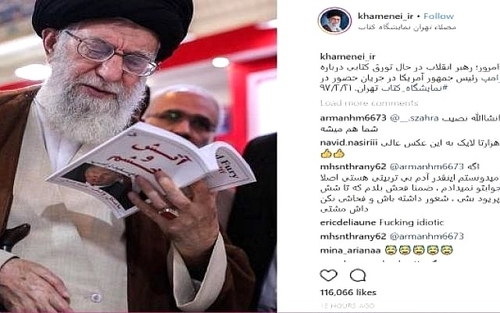 Iran's Supreme Leader Ali Khamene'i posed while looking at a Persian translation of Michael Wolff's "Fire and Fury: Inside the Trump White House." Global Review: What do you make of the Saudi reforms led by Crown Prince Mohammad bin Salman? Will he succeed, or will a backlash topple him? Daniel Pipes: The reforms are genuine, deep, and extensive, amounting to a revolution. Should MbS succeed, Saudi Arabia will be a very different country, somewhat like the United Arab Emirates. Whether he will succeed is beyond my competence to predict, as it depends on too many factors, such as intra-relations in the royal family, that I know too little about. Global Review: Is a political solution possible in Syria? If so, what would it look like? Daniel Pipes: One day, certainly, the Syrian civil wars will come to an end and normal life will resume. The country once called Syria will not be unitary again but will be divided up into spheres of influence and ethnic enclaves. Few will miss the old Syria, a violent and failed state throughout its 65 years, 1946-2011. Global Review: Erdoğan's moves in the Balkans, Greece, Sudan, Syria, Iraq, and Qatar point to Turkish expansionism; where do you see him and Turkey heading after he presumably wins the June 24 elections and attains yet greater powers? Daniel Pipes: Those formal new powers are irrelevant, for Erdoğan already informally enjoys them. I predict that he, a brilliant politician within Turkey's boundaries who wrongly supposes he is equally brilliant at international politics, will make terrible mistakes (such as: invade a Greek island or use violence to prevent drilling for gas in Cypriot waters) that will lead to his loss of power and being replaced by another, more cautious, Islamist. Global Review:In our prior interview of July 2016, you stated: "The battle against Islamism has not yet started." After the defeat of the Islamic State and the U.S. withdrawal from the Iran deal, has the war against Islamism now started? Daniel Pipes: No, those are visible but minor battles in a long, global war. I hold that lawful Islamism poses a far greater danger than violent jihad. ISIS is a showy but shallow organization that can do little more than terrorize and kill people. Trump's pulling out of the Iran deal is excellent but it hardly amounts to a major step against the Islamic Republic of Iran. Knocking out its nuclear infrastructure would be a major step. 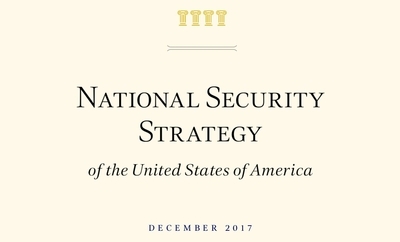 Global Review: The Trump administration's National Security Strategy identifies "Three main sets of challengers – the revisionist powers of China and Russia, the rogue states of Iran and North Korea, and transnational threat organizations, particularly jihadist terrorist groups" as "actively competing against" the United States. What about the Islamist movement? Daniel Pipes: Yes, "jihadist terrorist groups" are but a small part of the problem. Islamism is, after fascism and communism, the third modern radical utopian ideology; its threat goes far beyond petty violent gangs. It has immobilized the Left and makes remarkable advances through the West, especially western Europe, including Germany. Global Review: Were the Iranian regime overthrown, wouldn't the Muslim Brotherhood become the main Islamist threat? Daniel Pipes: No. The Muslim Brotherhood is based in Egypt, a poor country where it is relentlessly persecuted. Governments such as those of Turkey, Saudi Arabia, and Qatar have far greater means to push their agendas. Even Pakistan, another poor country, has more influence than the Muslim Brotherhood. Global Review: Will Islamists in the future fragment and split or unify and centralize? Daniel Pipes: They will continue a fragmentation already underway. For a few examples, note the political war in Turkey between Erdoğan and Gülen, two former allies; or the deadly war in Syria between Sunni- and Shi'i-oriented jihadis; and the hostility in Egypt between the Muslim Brotherhood and the Salafis. Global Review: Do you foresee a resurrection of the Islamic State? Daniel Pipes: Possibly. 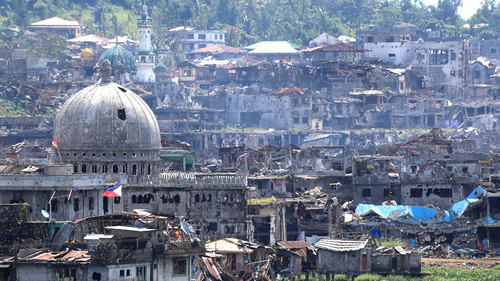 It has clearly touched something deep among some Muslims – witness the surprise five-month siege of the city of Marawi in the Philippines. Other unpredictable events lie ahead. Global Review: Will new Islamist groups appear? Daniel Pipes: Yes, for sure, all the time. Islamism is an ideology in flux and new organizations arise to meet new needs.